Purchase 50 or more Paediatric First Aid Quiz Card Games and download your free support pack worth £100. 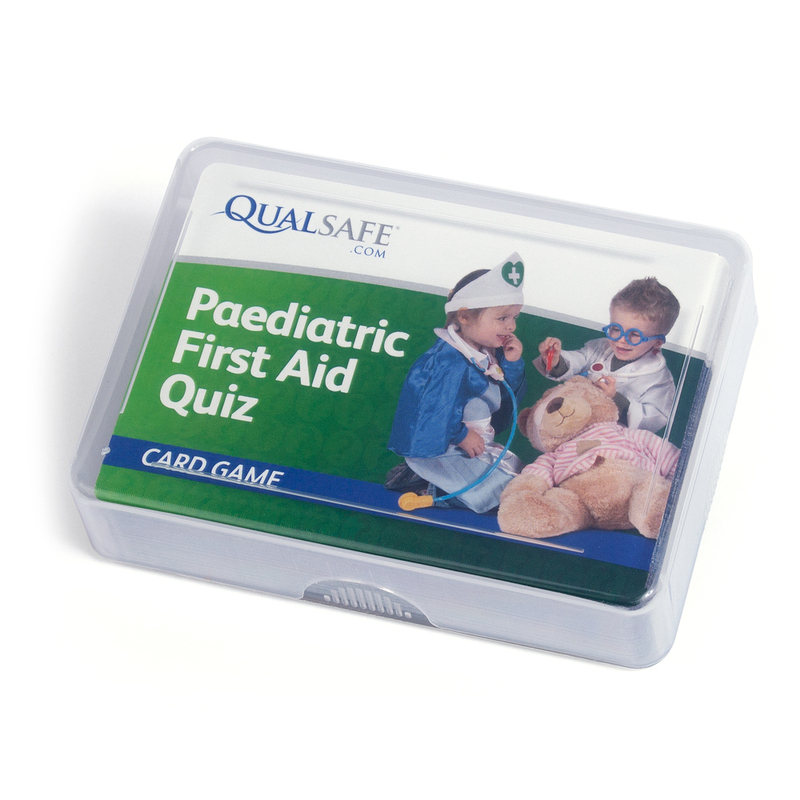 Purchase 200 or more Paediatric First Aid Quiz Card Games and you can have personalised covers absolutely free! The Paediatric First Aid Quiz Game is a fantastic accompaniment for Paediatric First Aid courses. Featuring 27 question and answers cards, the game is an engaging way to strengthen learners’ knowledge . It covers various topics and difficulty levels, with the aim being to pair all of the question cards in the deck with the corresponding answer cards. If you are looking for a bit of extra bit of fun, why not create two teams and go head to head, with the team who answer the most questions correctly in a designated time (we recommend two minutes) winning! Buy 5 or more packs of the Paediatric First Aid Quiz Game for only £5.99 or purchase for £9.99 each. Featuring 27 question and answers cards, the game is an engaging way to strengthen learners’ knowledge. It covers various topics and difficulty levels, with the aim being to pair all of the question cards in the deck with the corresponding answer cards. Buy 5 or more packs of the Paediatric First Aid Quiz Game for only £4.99 each.